Neighbors Jay, 36 and Enrico, 43 are two of the thousands of fathers who were deeply worried after typhoon Ompong (international name Mangkhut). 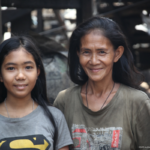 “I remember going back to our house the day after the typhoon ravaged our town, Alcala. I was dumbfounded with what I saw. In the next hours, I rummaged through the rubbles and tried to salvage whatever I can to start a makeshift house,” recalls Jay, a father of two who relies on construction work for his family’s source of income. Enrico, on the other hand, is a farmer whose cornfield was destroyed by Ompong. His house was also not spared. 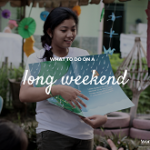 In the days following Ompong, World Vision immediately mobilized its response team to provide emergency essentials to the most affected families. In Alcala, Cagayan, more than 300 families, including Jay and Enrico’s were provided with shelter support. Materials that included corrugated iron sheets and plywood. 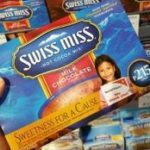 They were able to procure other shelter materials through cash voucher and through the organization’s cash-for-work (CFW) program that earned them P2500 (USD48). The CFW is a 10-day activity where shelter beneficiaries had to help each other for at least four hours each day in rebuilding their house, with the supervision of skilled carpenters. “Enrico is one of those who helped me in the construction of my house through this cash-for-work. Now, my children are comfortable in our new space. I also received vegetable seeds. Most of my harvest were used for family consumption but I was also able to sell some of the vegetables like cabbage,” smiles Jay. 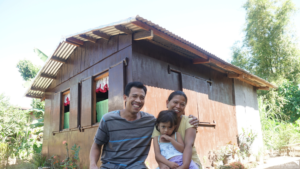 Jay and his family of four now enjoys a safer house following Ompong’s wrath in his community. Days after the typhoon, his family had to live with relatives and in a makeshift house. 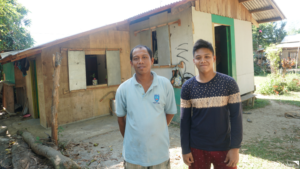 Enrico and his son Enrimar continue to improve their house after Ompong. Both are glad to have a place to go home to after their last house was totally damaged by the typhoon. “It helped that we received help after the typhoon. We were able to support our families even after we lost our source of income because of the money we got from the cash for work,” shares Enrico. After his house was rebuilt and after he started getting a steady income again, he further improved his house. Almost six months after the typhoon, both fathers have slowly got back on their feet and they are beyond grateful for the people who generously helped them recover. 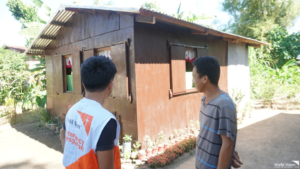 World Vision continues to work in Ompong-affected communities in Cagayan, supporting families in their early recovery. To date, the organization has reached a total of 11,409 households or about 45,636 individuals.